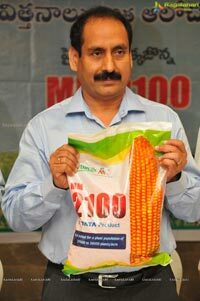 Why MM 2100 is the best fit for maize? Hyderabad, 5th October. 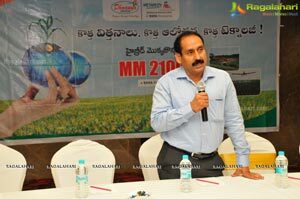 2014: Telangana and Andhra Pradesh have the largest area under maize cultivation in the country, contributing to more than 20% of the country’s total maize production. 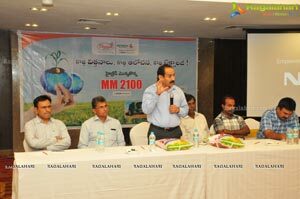 The yield for Telangana and Andhra farmers is the highest amongst all Indian states. 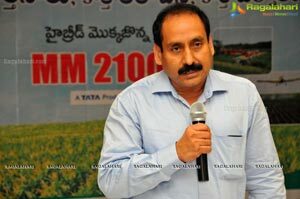 (5.3 tonne/hectare in the erstwhile Andhra Pradesh in 2011 as compared to the national average of about 2.5 tonne/hectare). Hybrid seed cultivation in rich soils combined with good management has enabled the farmers to break the yield barriers in Maize, and harvest increasingly high yields. 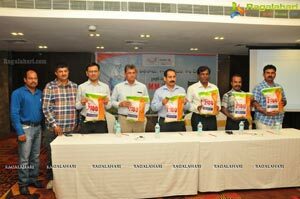 Metahelix Life Sciences, a part of the Tata group of Companies, is one of the few seed companies in India who have a very strong research base. 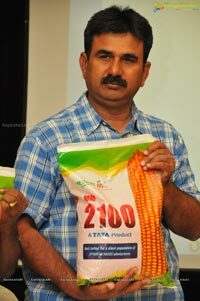 The hybrids are sold under the brand name of “Dhaanya Seeds”. 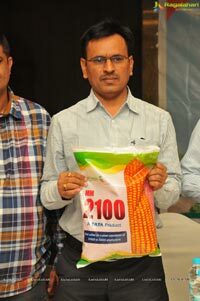 Kharif Maize hybrids such as MM 7705, MM 1107 and DMH 8255 have been very popular among farmers of these states since years. After years of research, Metahelix has developed a technology to accommodate a large number of plants in each acre. The new hybrid MM 2100 has plant structure has upright leaves so that the plant growth does not get affected and the cob size does not get reduced on reduction in distance among the plants. By cultivating at spacing of 9 inches ( plant to plant) and 18 inches (row to row) hybrid can accommodate upto 40000 plants/acre. The secret to its yield lies in the uniformity of the cob. 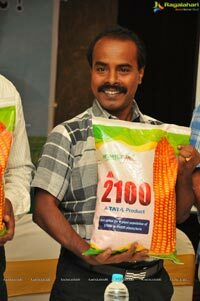 While other hybrids take up 30000 to 32000 plants, yield cob weight of 140g/cob and shelling percentage (weight of grain in a cob) of 79% which leads to a yield of 35 to 38 q/acre. MM 2100 with 38000 to 40000 cobs weighing 125 g/cob with 80% shelling percentage on an average yields 40 to 44 q/acre. 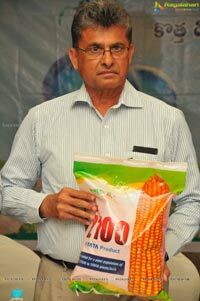 Last year, the product was sampled with more than 1000 farmers of given very promising results, and is being launched commercially across the two states this year. Metahelix is an agricultural biotechnology company focusing on developing traits and technologies for crop protection 6t improved productivity. Metahelix leverages its expertise in crop genetics and plant biotechnology to develop high performance hybrid seeds in rice, maize, cotton and millets for Indian markets with transgenic traits for insect, viral and fungal protection traits. 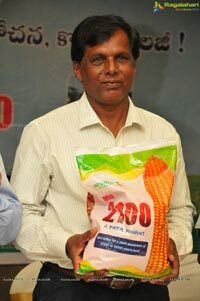 Hybrid Seeds and traits are commercialized by its wholly owned subsidiary seeds business Dhaanva Seeds. Metahelix has three distinct functional groups that work in tandem to meet the overall organizational goals ?Crop Breeding, Trait Development and Regulatory Sciences. Our core crops among the field crops are Rice, Maize, Cotton and Millets and among the vegetable crops are tomato, hot-pepper and okra where we have strong programs in crop breedingand trait development. 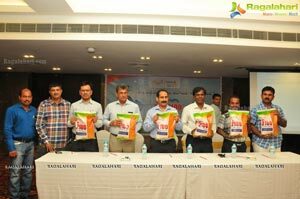 The crop breeding programmes are located at Bangalore (Rice, Maize fit Vegetable crops), Hyderabad (Rice and Cotton) and Ahmedabad (Millets). In addition, a trialing network consisting of about 21 different locations spread out all over the country, assists the systematic evaluation of hybrids generated by the crop breeding program. Our biotechnology capability includes all the aspects of gene mining, development, molecular biology, crop transformation, phenotyping, assaying and trait development. 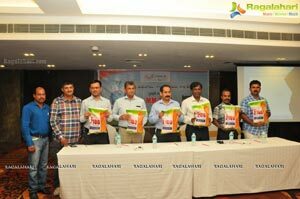 The biotech activities of Metahelix are based at Bangalore. The transgenic traits being developed include Bt Cotton(Bollworm and Spodoptera tolerance), Bt Rice (Yellow Stem Borer tolerance). In addition, new and novel RNAi technologies are being developed for virus and fungal tolerance traits in rice, maize and vegetable crops.